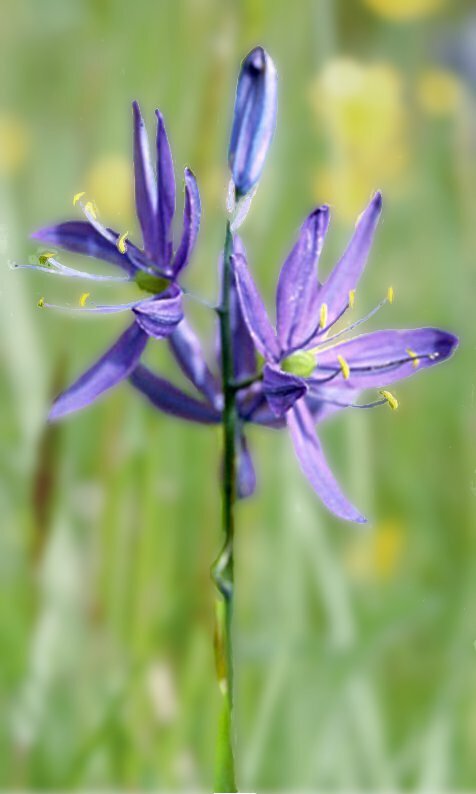 The Kootenay Camas Project is pleased to host a talk by Dr. Brenda Beckwith, the leading expert on the ethnoecology of the native lily camas (Camassia spp.) and its role in the nationally endangered Garry oak ecosystems of southwestern British Columbia. During her talk, Brenda will discuss how camas lilies helped to shape and maintain an ecologically diverse and culturally productive landscape mosaic in southern British Columbia. Camas, a staple food, played an integral role in First Nation economies for millennia. Brenda will discuss how camas, a well-known wildflower in the local parks (including Twin Rivers Park in Castlegar! ), has seen a revitalization among Indigenous Peoples in the last few years and has captured the hearts of modern-day restorationists and gardeners alike. Brenda teaches part-time in the School of Environmental Studies at the University of Victoria and is an ethnobotanical landscape educator and garden consultant, as well as organic farmer in North Saanich, just north of Victoria. Originally from California and with family connections that link her to the extensive camas prairies of southern Idaho, this lily has become part of her own heritage. Brenda has been consulting in ecological restoration and the management of cultural landscapes and ethnobotanical gardens, in both the US and Canada, for nearly 20 years. Come and learn more about this special lily that has been a part of the ecological and cultural heritage of the Columbia Basin for thousands of years!